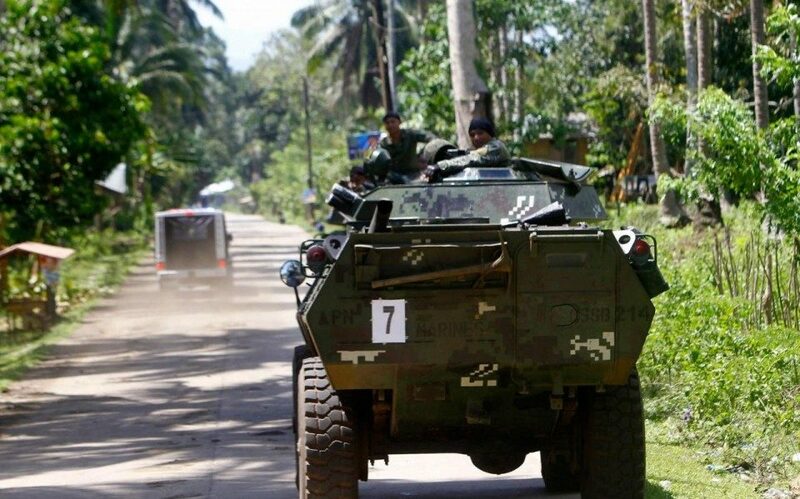 The Philippine Army has been chasing the Abu Sayyaf group through the jungles of Jolo in an attempt to capture, if not kill, the terrorist organisation from its stronghold in Sulu. Just this week the Philippines Army reported that they came across two abandoned Abu Sayyaf camps in a clearing operation in Jolo. That operation has failed to locate the two hostages from who were kidnapped from Samal Island last September. So far Canadian Robert Hall and John Ridsdel have been beheaded by the Abu Sayyaf – this week’s confirmation from DNA testing confirmed that the head discovered on the streets of Jolo was in fact Hall’s – however his body has yet to be found. The Army said the two camps were found abandoned and could easily accommodate 150 people. The camps had supply trenches dug through them for irrigated water. Also discovered in the camps were water containers, hammocks and other items belonging to the communist rebels. The military came across the camps on Monday in Barangay Sinuman in the town of Talipao, Sulu.